CARACAS - Venezuela is requesting the U.S. comply with the Interpol extradition order against businessmen that fled to that country. The attorney general of Venezuela has said five people were detained as part of an investigation into the corruption scheme inside the state oil company PDVSA. Tarek William Saab said US$200 million had been embezzled between 2010 and 2017 from within the company. The scheme took place in the Orinoco Oil Belt, the eastern Orinoco River Basin in Venezuela which holds the world’s largest deposits of oil. Saab said there were 41,000 contracts awarded to joint ventures in the area, and at least 12 of them had been involved in an overpricing fraud. “There was damage to our oil industry in strategic sectors,” Saab said, adding that the scheme was done through ghost companies and there was an Interpol red alert to extradite those who fled to avoid justice. 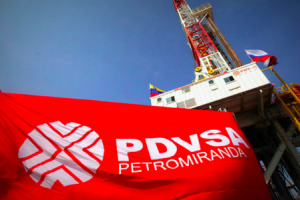 The attorney general said these contracts from PDVSA to hire services and supplies carried a 230 percent surcharge and were under investigation. “There are businessmen fugitives in the United States and Venezuela that need to repatriate of that money,” he said. Saab said the former Attorney General Luisa Ortega Diaz had protected large companies and power groups during her administration. Ortega was suspended and shortly after fled to Colombia, as she was being investigated for allegations of corruption, extortion, association to commit a crime, and money laundering. “The previous administration of the public prosecutor’s office was a concealer of all types of crimes,” Saab said.